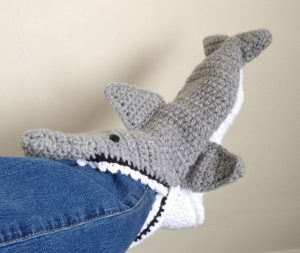 Crocheting a pair of shark slippers can be quite fun, especially if you want to make something unique and bizarre. 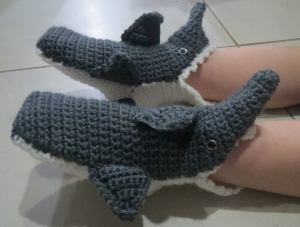 If your kids are fascinated by the shark week special aired on Discovery Channel, you can surprise them in this winter with a cozy pair of slippers. While the first five tutorials are free, the last two have to be purchased online. Scroll through and check all of them out. A jaw-dropping pattern that would look unique and funky on your feet, and also keep you warm throughout the winter. Make your cold nights a bit cuddly and whimsical with a toasty pair of shark slippers. Watch a chick flick with a warm cup of hot chocolate, lying on your couch. 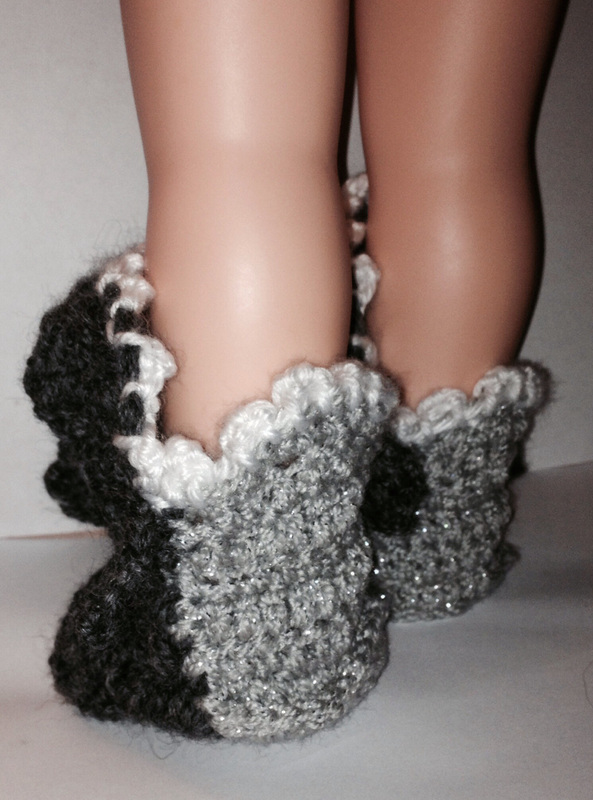 The feet of your little angel should stay warm and snug during the harsh winters. 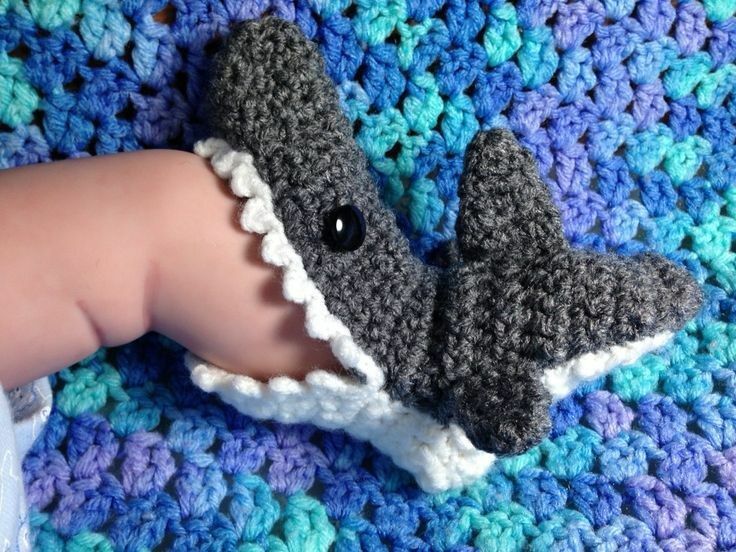 Crochet this interesting pair of booties for her. 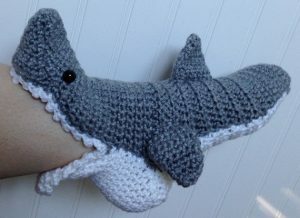 This one is a video tutorial that gives you step-by-step instructions about making shark slippers from scratch. The pattern might be a tad different from the one in the image. As shown in the image, you can add a border to the jaw by using red yarn. Otherwise, you can stick to the original pattern given in the tutorial. The following two patterns are paid that can be downloaded after you purchase them. 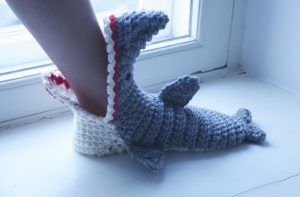 Although it is not mandatory to buy the patterns, these have been provided to help you try other variations for making snug slippers. This pattern for baby shark slipper socks is similar to the other free patterns given above. 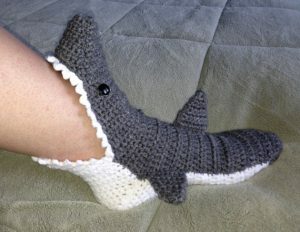 However, the size may differ as you would be crocheting booties. If you are interested in this particular paid pattern, purchase it online. With your crochet hook and ball yarns, you can surely make some artistic shark-themed slippers. 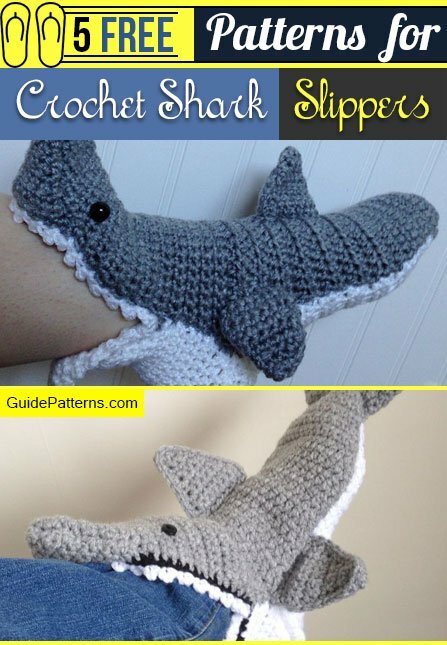 You can feel free to share some more ideas and patterns that would motivate other crochet enthusiasts to try something different.